If you've been watching the film adaptation of The Hunger Games book series, then you know as well as I do that Mockingjay — Part 2 basically spent two hours showing Gale that Katniss will never care about him the way she cares about Peeta. I mean, all that war and death aside, that was just painful to watch. Thus, it's nice to get a bit of good news for the actor behind the childhood puppy turned — spoiler alert — semi-terrorist that answers to the name Gale Hawthorne. 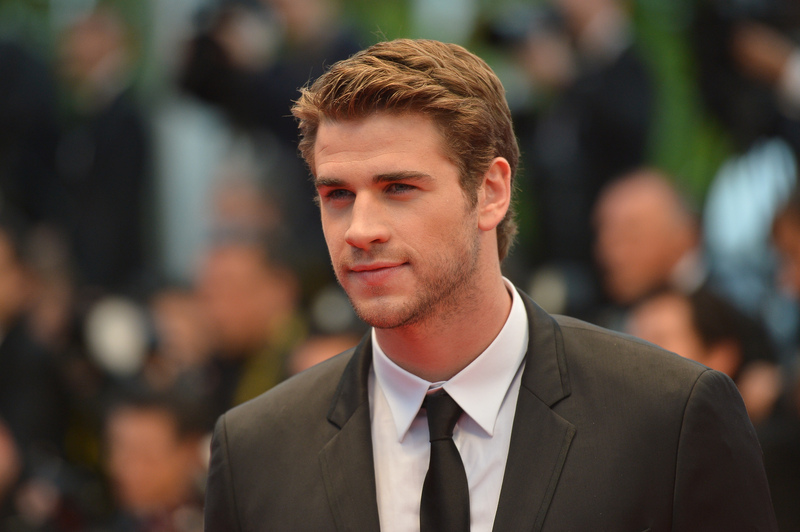 In fact, Liam Hemsworth joining Independence Day 2 could indicate that the actor has signed on to an entirely new franchise now that The Hunger Games films are two seconds from complete. Even better, that means we'll be seeing a lot more of Hawthorne for a few years to come, alongside the likes of Jeff Goldblum and lead actor Jessie Usher. The announcement of Hemsworth participation in the film was given over Twitter, as many things are these days, by director Roland Emmerich. He accompanied this marvelous news with a picture of the two actors on Tuesday night, just in case you were one of the handful of people in the world who somehow don't know who Hemsworth or Goldblum are. And then there's Hemsworth, made famous both by his former relationship with Miley Cyrus and his role as Gale in The Hunger Games, bringing in the younger set who just love to watch the Hemsworth brothers do anything at any time ever — especially if they can see it on the big screen. Between Usher, Goldblum, and Hemsworth, the film is already providing enough diversity, familiarity, and hype power respectively to make it a hit. I didn't even watch the first Independence Day, and I'm already considering seeing the second for this fact alone. Since it's been said that Hemsworth will be one of the stars of the film, I'm hoping that he will either be Goldblum's son — depending on how much time has passed between sequels — or nephew. Or maybe they'll take him a step forward and make him the son of former President Thomas J. Whitmore. However, if they don't want any more ties to the first film aside from Goldblum's role and Usher as Smith's son, then I would accept Hemsworth as an entirely new and independent character to take the plot to places it's never gone before. Whatever keeps Hemsworth on our movie screens for a long time is just fine with me.